April 1, 2009 by Beth B.
Beth Blecherman is the Chief Technologist of Cool Mom Tech, the intersection between tech, parenting and style. She left her position as a Senior Manager at Deloitte for Family Management then decided to blog as a career 2.0. Her personal blog is TechMamas.com (@TechMama ), a platform,to discuss technology, social media and her obsession with consumer electronics.In 2006 she joined on as one of the Co-Founders to Silicon Valley Moms Group (a mom blog network that covered over 11 regions). In 2010 Silicon Valley Moms Group was sold to Technorati. In 2009 she was chosen as one of the Nielson Power Mom 50 influencers. In 2010 a Parents Magazine Power Mom, Forbes 100 Best Websites for Women for 2010 & 2011 and @ForbesWoman Best Branded Women on Twitter. Just recently, she was included in the PC Mag Top 100 on Twitter and the Time 140 Best Twitter Feeds. In Sept 2011 Beth was listed on the Working Mother’s list of Most Powerful Moms in Social Media. Beth is a host of MommytoMommy.tv, a new online show for moms. TechMama Goes Hot Mama – Guest Celebrity from Kimberley Blaine on Vimeo. Her favorite conference is CES and she is proud to be on theBoard of Advisors (and speak at) for MommyTechSummit at CES. Beth consults with companies that have products for the family tech audience. One of her current clients is Nukotoys. There most current product is a trading game for the iPod/iPad called Monsterology (more to come!). Beth Blecherman is a techie turned blogger mom turned authority on “Technology For Moms & Family” trends speaker, gadget expert and social media consultant. She is more then a mom blogger who discusses technology, she is a tech blogger that happens to be a mom (and is proud of the fact!). In 2006 she joined on as one of the Co-Founders to Silicon Valley Moms Group (a mom blog network that covered over 11 regions). In 2010 Silicon Valley Moms Group was sold to Technorati. Beth Blecherman (TechMama) has been covered in Wall Street Journal, Laptop Magazine,MSNBC, Parents.com, BBC, PBS, Forbes.com, Advertising Age and written articles for Real Simple and Scholastastic.com. She started her career in application development, system auditing, and then Senior Manager, Computer Process Integrity, for Deloitte. After senior management she decided to take on family management and started blogging as her career 2.0. Beth founded TechMamas.com, a tech blog with a parenting slant, as a platform to discuss technology and gadgets for families. She also consults with companies on blogger outreach, outreach to “digital moms” and social media strategies as well as TRENDS for technologies and families. She is active in twitter as TechMama and regularly speaks at conferences on parenting, social media and technology.Beth is lucky to have a fabulous hubby who she will call “TechDad” and three amazing tech boys. COOL MOM TECH: Beth Blecherman’s newest pursuit is Chief Technologist of Cool Mom Tech, the intersection of tech and style, of parenting, practicality and fabulosity, brought to you by the same moms behind the influential shopping and design site, Cool Mom Picks. 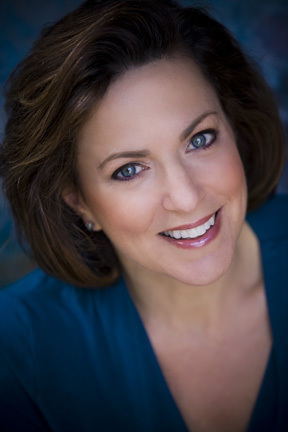 MOMMYTECH AT CES: Beth Blecherman is on the Board of Advisors for MommyTech summit at CES. Click here to visit the website for more details. Click here to see the exciting details about MommyTech CES 2011 (including a Fashion Show). On TV, I enjoy discussing Family Tech. Here a link to my appearance on Channel 7 Live discussing tech solutions for traveling with kids. Beth Blecherman is currently advising Nukotoys.com. They are coming out with an exciting line of game apps. The first one is called “Monsterology“. Beth also has other clients to help them with beta testing tech products for families and social media outreach. Beth Blecherman met with the team of a new social curation tool called “Pearltrees” while on a Traveling Geeks trip to Paris. She advised Pearltrees on social media outreach. TWITTER: Thrilled to have over 15K Twitter followers (hugs to my Twitter Followers). Beth Blecherman a.k.a TechMama was choosen as one of the Nielson Power Mom 50 influencers and Forbes list of top 100 websites for women. Was choosen BizTechDay’s 25 Influential Business Women in Bay Area to Follow on Twitter, by MomBloggerClub on the 25 Influential Moms to Follow on Twitter, American Express Open Forum’s 75 Top Twitter Tips From Today’s Small Business Moms, Advertising Age article on Diverse “Twilebrities, She Knows 20 Moms to Follow On Twitter and Parent’s Magazine’s Virtual Power Mom list. Recently she was included in the PC Mag Top 100 and the Time 140 Best Twitter Feeds and 2011 Forbes top 100 websites for women and Working Mother’s list of Most Powerful Moms in Social Media. Interested in Beth’s services as a blogger, speaker or consultant for your company? Please email her at techmamas(at)gmail(dot)com. The Internet Mommy by Kimberley Clayton Blaine – My chapter is about a pillow fight I covered on TWITTER! See Mom Run by Beth Feldman – My chapter is called “Night of Horror, i.e. The Night the Wireless Went Out “. Here is a link to my post on the See Mom Run book. NIELSON: Beth Blecherman a.k.a TechMama was chosen as one of the Nielson Power Mom 50 influencers. PARENTS.COM: Beth Blecherman/TechMama was choosen as one of Parents Magazine’s Power Moms. 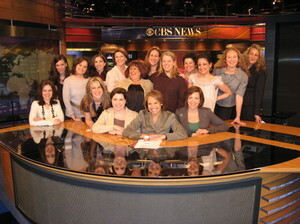 CBS NEWS KATIE COURIC: Coordinated conference call and the Silicon Valley Moms Group to discuss the topic of Children and the Recession. Radio Shack Netogether -Beth Blecherman & tech blogger friends were on a 17 foot computer screen in Times Square NYC and SF. Here is my post, here is a post from TechieDiva who was in NYC. Gadgetspin video of Virgin America Orange County launch party. Who’s Following You on Twitter? M2Moms: Brands & Blogs: What’s Working? What’s Next? SILICON VALLEY MOMS GROUP: She was a Co-Founder and Chief Technology Mom of the Silicon Valley Moms Group, collaborative mom blogs in cities across the country. Silicon Valley Moms Group was sold to Technorati. YAHOO: Motherboard panel, participant in Yahoo! Video Network project with Silicon Valley Moms Group. Our first video was on the Economy and the holidays. Reuters/ Leah Eichler: April 2010 Will Women Buy the iPad?